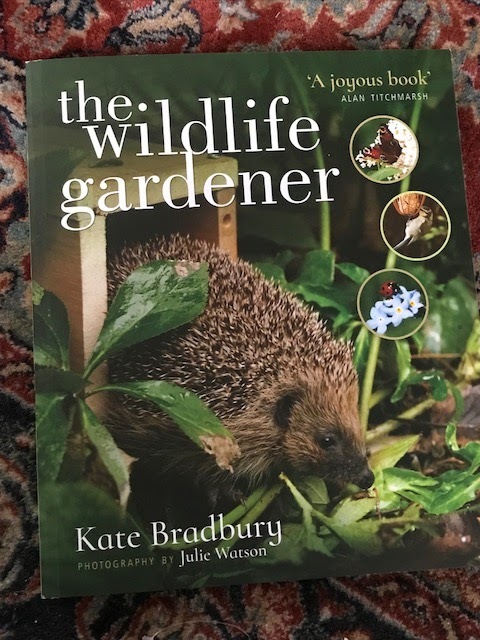 I was asked if I would like to review a copy of Kate Bradbury's new book 'the wildlife gardener' and I was very pleased to say yes. I therefore have not paid for this book, but my opinions as ever remain my own. 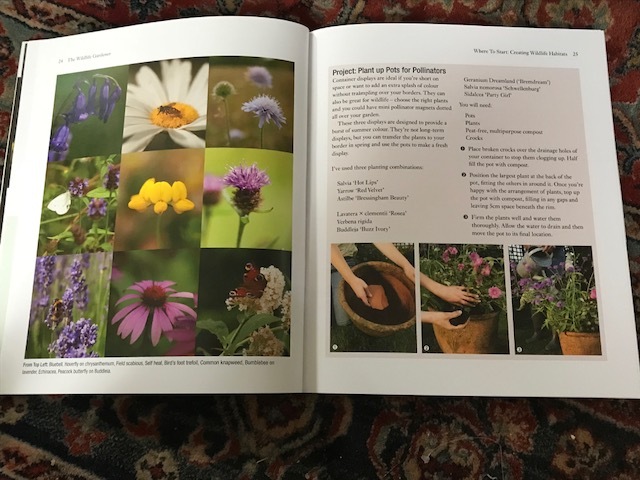 This new book tells you just about everything you might need to know about gardening with wildlife in mind. It is subtitled 'Creating a haven for birds, bees and butterflies' which has to be a good thing to want to do. I cannot imagine many gardeners who would not want some wildlife in their gardens; though we might like to be able to choose which ones are welcome. The book is a nicely sized paperback made with good quality paper. This means that the photographs by Julie Watson are able to perform to their best ability. I do despair a little of books that contain really good photographs but then use dull rough paper that spoils the finish. Thankfully there was no need to despair of this book. Kate starts by telling us how to create wildlife friendly habitats. Kate explains that we need to consider of aspect of where we live, so if we do not have lots of sun we might not get so many bees and butterflies, but we might want to tempt hedgehogs to set up home in a corner of the garden. 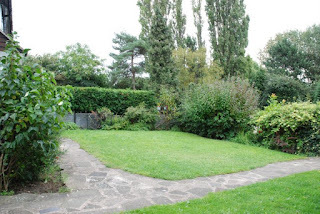 Kate also tells us that we do not have to let our gardens become messy to be wildlife friendly, we just have to think about what we want and then how to do it. For instance: just growing a few pollinator-friendly flowers can make a big difference. 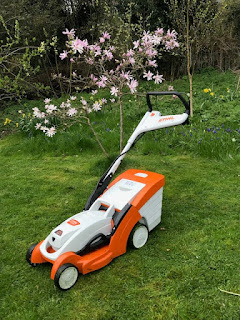 Once Kate has established where and how we might want to attract wildlife to our gardens, she then takes us through the who we might want to encourage. from birds to insects to bugs and creepy crawlies. Kate even talks about those we might not really want to encourage, such as rabbits, but how we might learn to live with them/keep them out of our gardens. I was particularly fascinated by the description of harvestmen, who particularly seem to like to live around my front door. Whilst they look like spiders they are not. They do not build webs and have hooks on their legs to catch things. They also have fangs and can chew food. (which gave me a shudder as I pictured a spider-like thing gnawing on a fly). They can release a foul smell if feeling threatened and have the ability to shed a leg or two if they need to escape. I shall look at them with a bit more respect next time I see one. There is a comprehensive section on plants, and this is a vital part of the equation. I am someone who allows (I say allow, I am unable to stop) nettles from growing in my garden. I know that insects love them but I had not realised that birds also enjoy eating the seeds. Apparently it is also best to grow them in a sunny spot, which is good as mine certainly love growing in the middle of my sunniest borders. The book ends with a trouble shooter section and this section is rather special. It is full of very good questions and answers ranging from 'help I've seen a rat' to 'where have all the birds gone' and 'I've found a bat on the ground, does it need help?' (to which the answer is probably yes). Each answer gives some good practical advice including who you might need to phone in certain circumstances. I learned a lot from this section.